Here are a few events and shows that Tezeta Band will be playing this summer. Now that we have finally released “The Origins of Night Life”, we are busy working up a fresh batch of songs for the next LP and hitting the stage to share them. Check our Facebook page for any additional band news. Tezeta Band will be playing a triple bill of ska, soul and Ethio-funk at The Secret Society Ballroom on Saturday, February 20th with The Sentiments and The Inciters. Doors open at 8:30 and Tezeta Band hits the stage at 9:00. Don’t miss this high energy show. We are having a show this Thursday at the Goodfoot, KMHD DJ extraordinaire Derek Smith will open the show with groovy tunes and atmosphere. Doors open at 9PM. New single and Happy New Year! 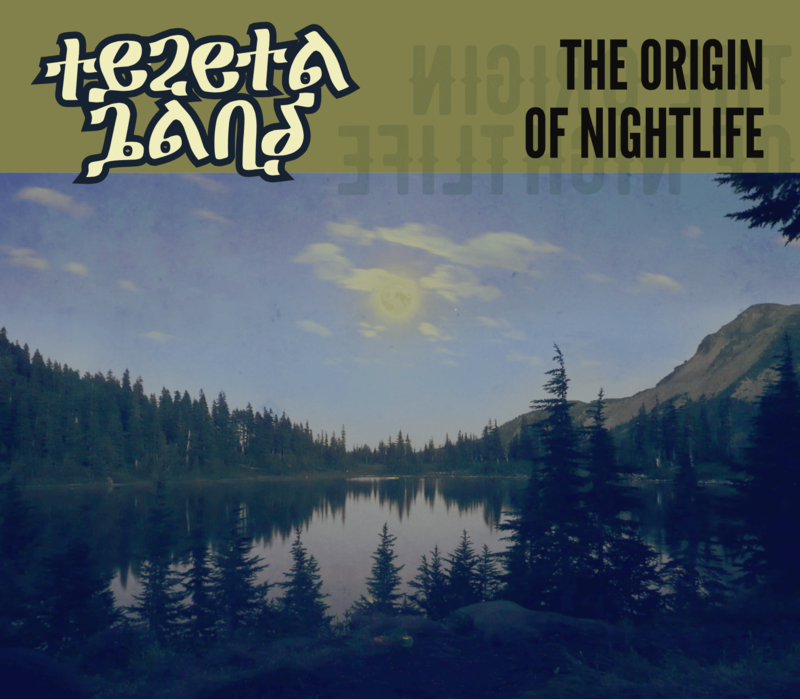 Tezeta band is celebrating the Ethiopian New Year with a sneak preview of our upcoming album “The Origin of Nightlife”. Have a listen to our first song off the top “Gizie Degu Neger”, and don’t forget to mark your calendars for Thursday October 8th when Tezeta Band plays the Goodfoot Lounge and Pub. We have a BIG show in October at Portland’s Jazz epicenter, Jimmy Mak’s. It will be a full evening of Tezeta Band music with Special Guest DJ Derek Smith from KMHD’s Morning session. Tell everyone. This is the show of the year. Call 503-295-6542 for table reservations…until we move all the tables out of the way and cut loose on the dance floor. -The summer started off with a show opening for Legendary Malian Musician Vieux Farke Toure. Mississippi Studios and Portland showed Viuex well deserved love on a hot night. A good recap can be found at SSG music here. – We had a Banging time with the Reed College Alums. Good to go back to a familiar place and end the night with fireworks. -We played two amazing weddings for Ryan & Mackenzie and Isaac & Sophie. Both were incredible experiences as we made friends, and communed with Mother Nature. The after party in both cases exceeded expectation. –The Glendi Greek Festival was another fine time under the stars at St John the Baptist Greek Orthodox Church. Our stomachs are still grumbling at the thought of Souvlaki, Baklava Sundae, Falafel, Bougatsa…and the list goes on. We appreciate the warmth of the Greek/Ethiopian community and hope to make this an annual event. -We finished our full evening long series of Ethio-Soul Sessions at The Secret Society. We will now play a more abbreviated set on Second Thursdays at SS under the Soulshake moniker. Our first Shaking of the Soul happens Thursday, September 12th with opening act, The Keplars. $7. -In August it we connected with Prints for Prints for their exhibition at The Secret Society. You can click on their link to check out the fantastic work that they do in preserving and documenting Ethiopia and it’s people. Donate to a good cause and get a piece of art. This Friday July 19th, join us for the Glendi Greek Festival, a celebration of ethnic cultures from around the world (Greek, Middle Eastern and Ethiopian). The festival is held at St John the Baptist Greek Orthodox Church in Beaverton. Tezeta Band is honored to be one of the featured performers at this year’s festival. This is a family event with music, culture, games and of course food. Fun will be had by all. Admission Free! For more information check out www.glendigreekfestival.com. St John the Baptist Greek Orthodox Church is in Beaverton off of Walker Road across from the Nike Campus. Admission:Free, Bring the whole family!